One of the hardest things about owning or renting property, may it be your home or work place, is maintaining it. After some time, some wear and tear is inevitable, but thankfully it is something that can be solved with a little D.I.Y in order to save money. With so many brands and types of products in the market, it can get rather confusing. Here’s our guide on recommended cleaning products and their purposes. With this, your property will be just like it was the day you got it brand new. Air con cleaning can be rather expensive if you hire a handyman, but with a little know-how, you’ll be able to do it yourself and save money. 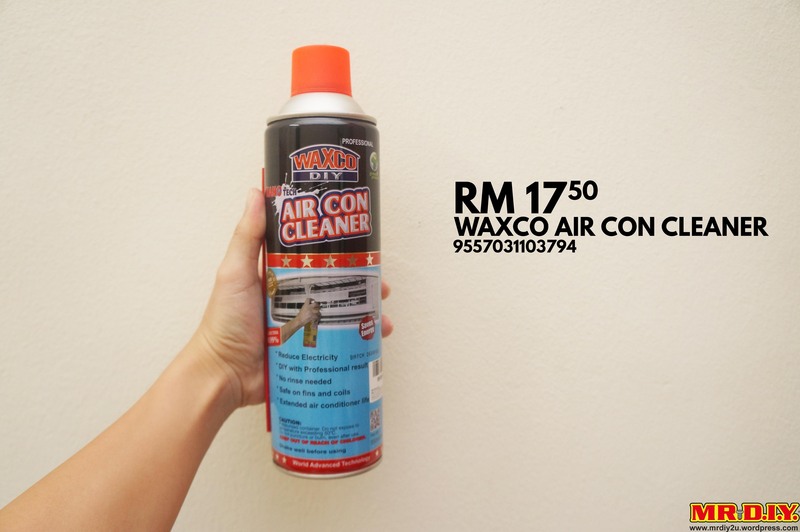 This cleaner effectively dissolves all grease, dirt, mold, fungi and others dust build-up from the cooling coils of your air conditioners. After application, your air conditioner will work more efficiently thereby saving electricity and maintenance. A must-have for every home! This lubricant can penetrate to remove rust, lubricate and clean the automobile, machines and tools. It can prevent corrosion and reduce noise with superior effect as well as stop sticking binding and squeaking, repeal moisture and condition rubber seals. Find that your sink is stuck? Before calling a plumber to come over, try this out for yourself. This concentrated drain solvent is specifically designed to rapidly clear blockages in drains caused by hair, grease, soap, paper and other organic materials. It is suitable for toilets and wash basin, and can remove clogs in gutters and pipes as well. This unique wax formulation is developed specially to care for marble & terrazzo floors. It cleans, shines, and fragrances floors in one single step and repeated usage will protect and enhance the beauty of your floors. This product is specially formulated to clean and polish all types of plastic lamp covers and other plastic parts to produce a crystal clear transparent and shiny surface. It is excellent for removing minor scratches, stubborn stains from dirt and grease and also brightens the light output to give a safer vision when driving. After some time, it is inevitable for some things to lose its shine and sometimes turn yellow or brown, especially white toilet bowls. You can solve this with this multi-purpose stain remover that cleans the toughest stains by itself and effectively removes long formations of algae, rust, scale and water stains on toilet bowl, sink, drain, mosaic flooring and tiles surface. Do you have any other cleaning agents from Mr D.I.Y to recommend? Let us know in the comment section below! Can the stain removal use on toilet seat? Mr.DIY Nilai..nak beli lagi..tp x restock. This entry was posted on November 16, 2016 by claudiacyy in bathroom, Bedroom, Cleaning, home, House, Household, Ideas, Kitchen, MRDIY, Office and tagged Cleaning, cleaning agents, flooring, home, Household, Kitchen, mrdiy, toilet.